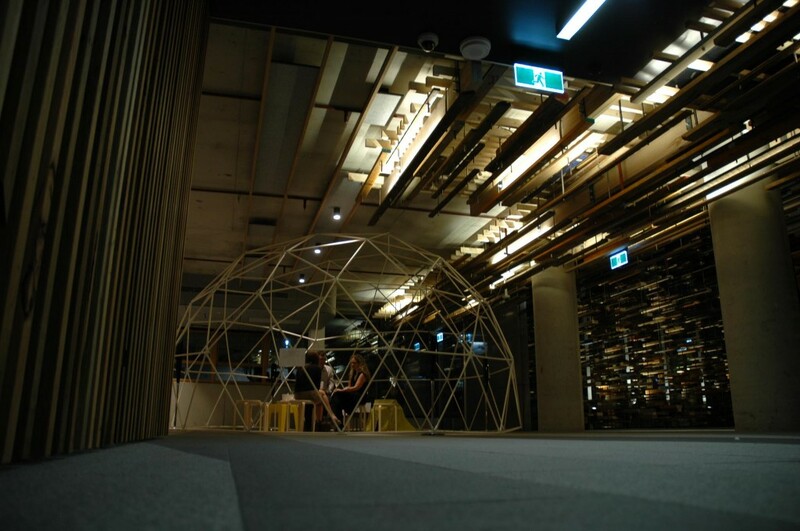 In March 2013 the sound installation Phonosphere by Andrew Mooney was unveiled at the ‘Art Not Apart’ festival in New Acton. Using original field recordings delivered in 5.1 surround sound, Phonosphere seeks to create a sense of location and space by guiding listeners to visualise the aural environment presented. Since debuting at the Art Not Apart Festival, Phonosphere has be exhibitted at the 2013 Dragon Dreaming Festival and privately at an Art Party here in Canberra. The collection of content and contributors will expand with an installation later in 2014 presenting a mixture of field recordings and electronically generated textures. If you have access to a 5.1 surround sound setup and want to listen to Phonosphere in your own time you can download the surround sound files here, here and here. To play Phonosphere on a DVD player with a 5.1 surround sound setup, just burn the .ac3 files above to a CD or DVD in data disc format. If you have a computer that has a 5.1 surround setup there is a guide here on how to play .ac3 files. There is also a free stereo download of the Phonosphere content here.